Good news, everyone! Normal service should be resumed from now on! How to Get Those Distracting Thoughts Out of Your Head When You’re Trying to Practice (Bulletproof Musician) – Did you know it’s normal to get distracted? It’s true! And, as a bonus, you can read some great tips on how to deal with those distracting thoughts too. Never tell someone they can’t sing – it is brutal, damaging and untrue (Chris Rowbury) – Why we should be really careful what we say, and what the truth is about whether people “can’t sing”. How Much Practice Should I Do (Helen Russell Music) – A really great video that Helen’s found to remind us all how to do practice properly. How to Compose a Mnior Pentatonic Piece (My Music Theory) – Ever wanted to try your hand at composing? Here is a step by step guide to writing a simple melody using a minor pentatonic scale. Why You Should Be Hearing Music in Your Head (JazzAdvice) – What is it that makes the difference between playing and really making music? It’s the internal sense of music. Ten Reasons Why “Music Teachers Helper” Pays for Itself! 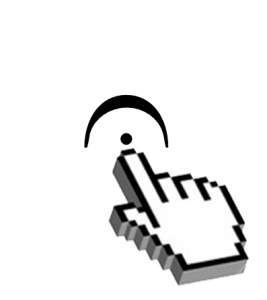 (Music Teacher’s Helper Blog) – Yes, I know it’s shameless advertising, but as a MTH user, I can vouch for how useful and effective it is. How to introduce composing to Piano Students (Compose Create) – Here are some great ideas to get students making their own music. 10 Best Piano Judging Comments (ComposeCreate) – We’ve all had bad comments made in exams and competitions, but here are 10 reminders that we often get really helpful ones too. This entry was posted in Friday Favourites, Regular Columns and tagged friday favourites on 21st March 2014 by .